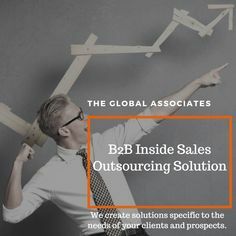 The Global Associates B2B Appointment Setting Services shoulder the massive responsibility of getting their clients on the same table with super-busy decision makers, one of the toughest jobs of present-day business world. Things get quite tricky at times and despite their best efforts, B2B appointment setting services are not able to get enough appointments or create quality appointments for their clients. You can get quite frustrated if it’s difficult to put your finger on something specific even when you are not achieving good results and suspect there is something wrong with your whole system. It’s time to tighten your belt and get ready to face the issues facing you. Some of these challenges are discussed below. Reaching the desired decision makers is perhaps the biggest challenge for B2B appointment setting services these days. You can make endless calls but your success lies only in being able to talk to the intended persons. Unless you do a proper research on the front end to get the correct information about the person and the organization before making a call, your whole effort is going to be wasted. The gatekeepers will just not let you get to the decision makers if you don’t possess the right information about them. Trying to find quality referrals will also help your cause. An early termination of your call can really be damaging to your prospects and your confidence. If you are not able to keep the conversation going, who really is at fault? Certainly not your customer. You have to see if you are getting too scripted, or sounding too eager or too unconvincing. That will certainly shut off the decision maker. You have to practice your script so that you are natural and free flowing while interacting with the decision maker. The chances of getting an appointment get bright once you make a good first impression on the prospect. B2B appointment setting services have to be cautious that they are not trying to reach out to the organizations that are not the right fit for their product or services. It’s essential to research properly about the company you are getting in touch with to better your prospects. A customer will certainly not show interest if they don’t need your services in the first place. Do a thorough research every time and make calls to those organizations that belong to the industry you deal in. B2B appointment setting services cannot afford to buckle under the weight of the challenges thrown at them. It’s important to stand up to the challenges and find solutions to the problems facing you. Identify the problems and act accordingly.